Lowered their health risks: CDHP customers lowered their risk of developing or worsening a chronic condition. 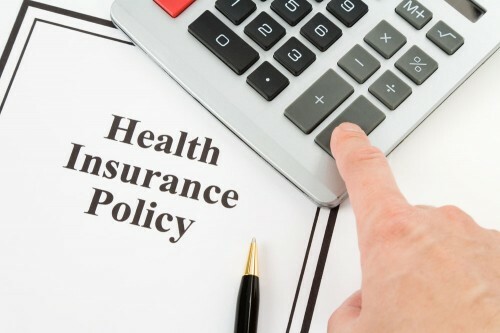 According to the study, when employers fully transitioned to offering only a CDHP option, individuals improved their health risk profile by 10 percent in the first year compared to customers in a traditional plan option. Reduced total medical costs: CDHP medical cost trend was 16 percent lower than traditional plans during the first year. Over five years, cumulative cost savings averaged $9,700 per employee enrolled in a CDHP compared to employees who remained in a traditional health plan. Cost reductions were achieved without employers shifting out-of-pocket health expenses to their employees. Received higher levels of care: CDHP customers had consistent or higher use of over 400 evidenced-based medical best practices (than their counterparts in traditional plans. CDHP customers also sought preventive care, such as annual office visits and mammograms, more frequently than customers enrolled in a traditional plan. Were more engaged in health improvement: Through proper plan design plan and the use of incentives, CDHP customers were more likely to have completed a health risk assessment and participated in their health coaching program than those enrolled in a traditional plan. Were more savvy consumers of health care: CDHP customers enrolled in their pharmacy management program were more likely to choose generic medications and had 14 percent lower pharmacy costs compared to those in a traditional plan. In addition, CDHP customers used the emergency room at a 13 percent lower rate than individuals enrolled in HMO and PPO plans. More likely to compare cost and quality: CDHP customers were twice as likely to use myCigna.com online cost and quality information to help them select a doctor or to review potential medical costs than customers enrolled in traditional plans. “Each year the evidence increasingly shows that properly designed consumer-driven health plans can lower health risks, reduce medical costs and drive engagement,” said Cigna Chief Medical Officer, Dr. Alan Muney. Please contact Gary Whiddon at Health Plans Online for more information on Consumer Directed Health Plans. He can be reached at (888) 474-6627 or gary@hpo.biz. 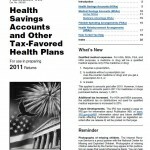 Health Savings Accounts (HSAs) . Flexible Spending Arrangements (FSAs) . Everyone needs to reduce health insurance costs, and have been presented with a Health Savings Account option. It may save you money, but if you take prescriptions, you will have to pay the full price of the prescriptions to satisfy a high deductible. Insureds who are coming off a plan with prescription copays do not know the actual cost of their prescriptions. They just know the $30 prescription copay. PillBot.com is an excellent resource to identify the actual cost for your prescriptions. Searching for the “Best” Rx price has never been easier! Simply visit www.PillBot.com and type the name of the medication in a box like below and click submit. You may also conduct your search alphabetically at PillBot.com. I did a search on the cholesterol drug, Zocor. Here are the results. The first line shows 30 pills each 80 mg for $115.87 or $3.82 per pill. Minimum HDHP deductibles will remain at $1,200 for self only coverage and $2,400 for family coverage. Note: The office of U.S. Senator Orrin Hatch (R-Utah) issued the following press release today, May 26, 2011. SterlingHSA previously covered this topic here as well. To see this press release on the Senate Committee on Finance website, click here. The United States Treasury Department recently released Notice 2011-05 allowing consumers to use debit cards tied to Flexible Spending Accounts (FSA) and Health Reimbursement Accounts (HRA) at pharmacies to pay for over-the-counter (OTC) medicines or drugs that are prescribed by a doctor or other health professional.